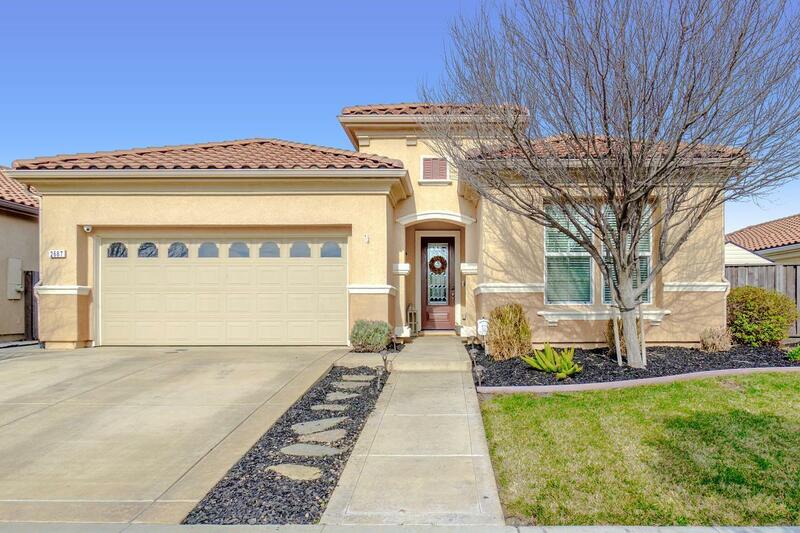 Impeccably maintained and stylishly upgraded single story home in fabulous Springlake. Open and bright with striking tall ceilings, recessed lighting and oversized windows bringing in lovely natural light. Functional floor plan with a spacious great room, large kitchen dining area AND a large separate room to be used as a living room OR dining room. Granite and stainless kitchen with over thirty cabinets, gas cook-top, built-in microwave, large island with dining bar, and pendant lights. Modern farmhouse design choices including custom interior paint, scraped wood laminate flooring, neutral tile flooring, and a rustic triple-dome pendant light in the dining nook. State of the art security system with mobile access for entry, thermostat, and monitoring. Enjoy the view from the living area to the serene backyard with extended custom concrete, pergola covered dining area, and graded space ready for a play structure, fire pit, or lawn. You work hard: This home will make it all worth it!